We understand that quality control is fundamental to the provision of world class electronic manufacturing services. Our proven quality track record of supply since 2002 is a notable achievement, however our ongoing approach is one of continuous improvement and excellence. Bi-annual supplier visits are made by our team to audit facilities and address any ongoing issues. We have a simple philosophy which has stood us in good stead - We do not trade with companies who have not been audited or personally visited by our team. Our experience means we choose the right partner in our supply chain to deliver world class quality to you. ISIR, PSW or PPAP documentation are all available with sample submission to ensure prototypes are approved quickly to your satisfaction. 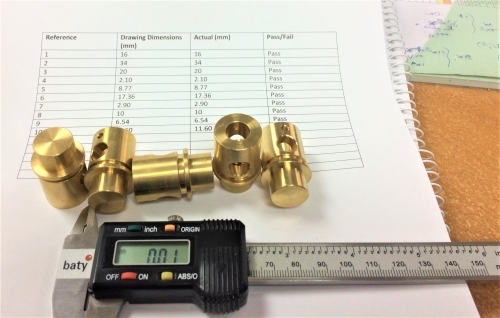 Whilst setting up individual parts on our MRP system we can specify the incoming inspection levels and the type of test. So we can either look for cosmetic defects, check dimensions or perform electronic or functional tests locally to verify the quality is acceptable. If we have have any quality issues our first thought is always to maintain supply chain, identify root cause and implement corrective actions as soon as possible. This is pursued in a robust and efficient manner to ensure quality compliance is restored to product supply immediately. We also interrogate the manufacturing process flow at this stage to see if any improvements can be made before presenting our findings in a formal corrective action report (CAR), 8D or FMEA for the automotive sector.